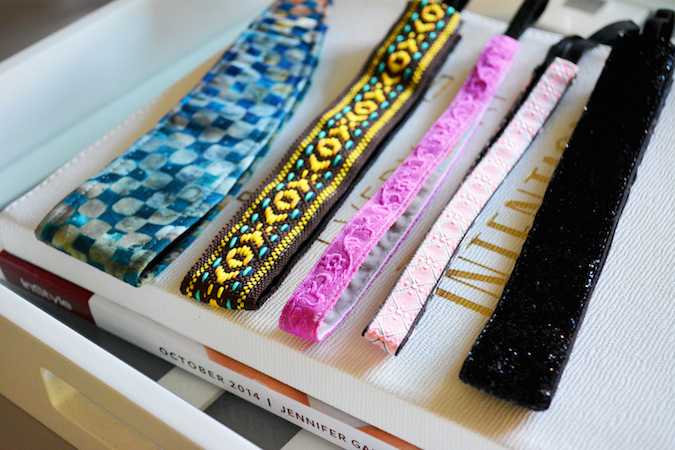 Today I wanted to tell you about an awesome brand called Banded that makes these fun and gorgeous headbands. 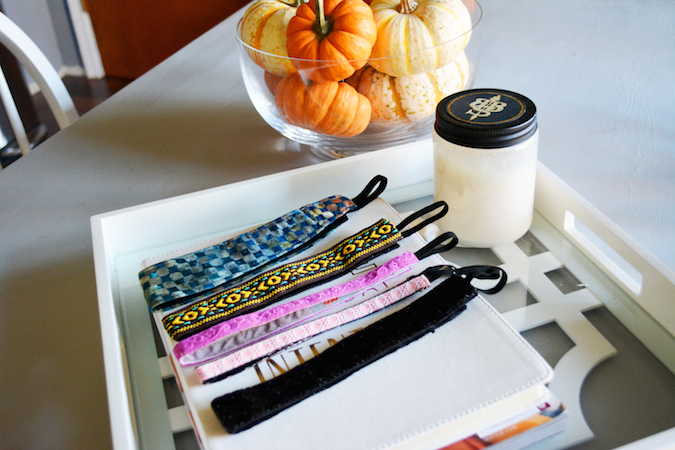 But that's not all... Each headband purchased provides 3 meals for a child in Uganda. How amazing is that? Truly a brand that's gorgeous inside and out. Coming from someone who has never been able to get a headband to stay on my head for the life of me, I was so pleasantly surprised by the soft, velvety underside of each headband that provides very minimal slippage. And, they're comfortable! I've worn them all day on a few occasions and never got that 'headband headache.' There are lots of fabrics, colors and widths, including a gorgeous 'luxe' line. My personal favorites are my black sparkly one, this gold & black beauty and these hair ties. 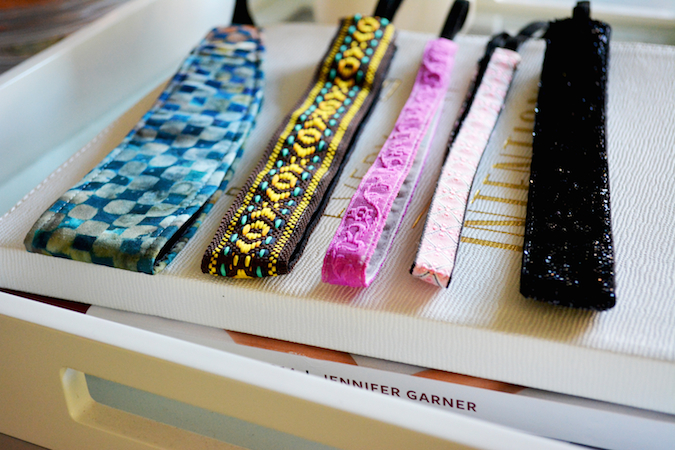 I just wanted to show a few ways that I can very quickly and easily style my headbands (each took under 1 minute). I'll be styling my black sparkly band in an outfit post sometime soon too. This is my favorite one because it's the definition of easy glam. It would look so cute to dress up an easy top knot, messy low bun or braid, or with your hair tucked up in it for a faux bob look, or 1920's style like this. I think this look is perfect for a fun little girls' night. This look is perfect for me on the weekends or after I get home from work. When I'm cooking dinner or cleaning I don't like to have my hair in my face, so this gets my front pieces back while helping me salvage some wave for second-day hair. Thanks so much for reading, and I hope you love this brand as much as I do! I'll be back tomorrow with a new outfit post. PS - Don't forget to enter my giveaway for a gorgeous pair of leather booties from Johnston & Murphy (valued at $298)! Products were provided by Banded, but all opinions are my own.